In 2009, Dan Littman's laboratory published a landmark manuscript that greatly influenced how the research community viewed commensal microbes and their impact on the host immune system. Despite the presence of hundreds of species of bacteria in the intestinal tract, Ivanov et al. demonstrated that the presence of segmented filamentous bacteria (SFB) in mice could massively skew the frequency of Th17 cells, a subset of CD4+ T helper cells that produce interleukin-17 (IL-17) and IL-22 in the lamina propria1. Th17 cells were later confirmed to be a central player in host protection against certain mucosal pathogens and an important target for therapeutic intervention in mucosal inflammatory diseases. This critical observation of their paper was rooted in a previously unappreciated factor: mice sourced from different vendors possessed different levels of Th17 cells, and their presence correlated with the presence or absence of segmented filamentous bacteria (SFB) in the gut, depending on the animal source1. As a consequence, many researchers began to control for the presence of SFB by establishing co-housing experiments with mice sourced from Taconic, the Jackson Laboratory (JAX), or from colonies bred in their own facility2,3. Another alternative was to transfer intestinal contents between mice from different vendors to study the effects of SFB on various biological processes4,5. While an elegant, practical solution, there are major challenges associated with this approach. Most importantly, it is rooted in the misconception that all Taconic mice possess SFB, whereas all JAX mice do not. The reality is more nuanced. As Farkas et al noted, "We have previously reported that JAX mice lack SFB and TAC mice contain SFB as part of their resident microbiota. However, the presence of SFB depends on the particular barrier location at each vendor. Indeed, mice from certain locations at JAX contain SFB and mice from certain locations at TAC do not. Therefore, the presence or absence of SFB cannot be assumed based solely on vendor source..."6. 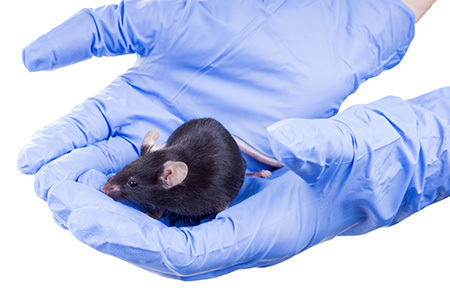 Taconic offers mouse models at various different health standards, ranging from germ-free and gnotobiotic production conditions to barrier-produced specific pathogen free (SPF). Responding to the needs of microbiome researchers, Taconic made significant changes in testing and reporting to ensure access to the most relevant models, while avoiding any negative consequences rooted in the prior misconception. Having access to models from the same vendor which either possess or exclude SFB allows for more scientifically controlled studies using genetically identical C57BL/6 substrains. This avoids any potential confounding results that may arise from comparing C57BL/6 animals of the J and N substrains with known genetic and phenotypic differences7,8. Before ordering animals, researchers should carefully evaluate commercial vendors with regard to animal health monitoring programs (e.g. routine testing and reporting of colony SFB status) and product offerings to determine if their experimental goals can be achieved without compromise. 1. Ivanov II, Atarashi K, Manel N, Brodie EL, Shima T, Karaoz U, Wei D, Goldfarb KC, Santee CA, Lynch SV, Tanoue T, Imaoka A, Itoh K, Takeda K, Umesaki Y, Honda K, Littman DR. Induction of intestinal Th17 cells by segmented filamentous bacteria. Cell. 2009. Oct 30;139(3):485-498. 2. Kriegel MA, Sefik E, Hill JA, Wu HJ, Benoist C, Mathis D. Naturally transmitted segmented filamentous bacteria segregate with diabetes protection in nonobese diabetic mice. Proc Natl Acad Sci U S A. 2011. Jul 12;108(28):11548-53. 3. Gauguet S, D'Ortona S, Ahnger-Pier K, Duan B, Surana NK, Lu R, Cywes-Bentley C, Gadjeva M, Shan Q, Priebe GP, Pier GB. Intestinal microbiota of mice influences resistance to Staphylococcus aureus pneumonia. Infect Immun. 2015. Oct;83(10):4003-14. 4. Sano T, Huang W, Hall JA, Yang Y, Chen A, Gavzy SJ, Lee JY, Ziel JW, Miraldi ER, Domingos AI, Bonneau R, Littman DR. An IL-23R/IL-22 circuit regulates epithelial serum amyloid A to promote local effector Th17 responses. Cell. 2015. Oct 8;163(2):381-93. 5. Goto Y, Panea C, Nakato G, Cebula A, Lee C, Diez MG, Laufer TM, Ignatowicz L, Ivanov II. Segmented filamentous bacteria antigens presented by intestinal dendritic cells drive mucosal Th17 cell differentiation. Immunity. 2014. Apr 17;40(4):594-607. 6. Farkas AM, Panea C, Goto Y, Nakato G, Galan-Diez M, Narushima S, Honda K, Ivanov II. Induction of Th17 cells by segmented filamentous bacteria in the murine intestine. J Immunol Methods. 2015. Jun;421:104-11. 7. Mekada K, Abe K, Murakami A, Nakamura S, Nakata H, Moriwaki K, Obata Y, Yoshiki A. Genetic differences among C57BL/6 substrains. Exp Anim. 2009. Apr;58(2):141-9. 8. Ulland TK, Jain N, Hornick EE, Elliott EI, Clay GM, Sadler JJ, Mills KA, Janowski AM, Volk AP, Wang K, Legge KL, Gakhar L, Bourdi M, Ferguson PJ, Wilson ME, Cassel SL, Sutterwala FS. Nlrp12 mutation causes C57BL/6J strain-specific defect in neutrophil recruitment. Nat Commun. 2016. Oct 25;7:13180.